Quality fully encasing box spring encasement or bed base protector; removes key harbourage points for bed bugs. Ideal for divan beds and bed bug outbreaks. 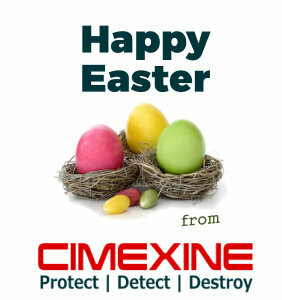 Also protects against dust mites and odours. Waterproof. 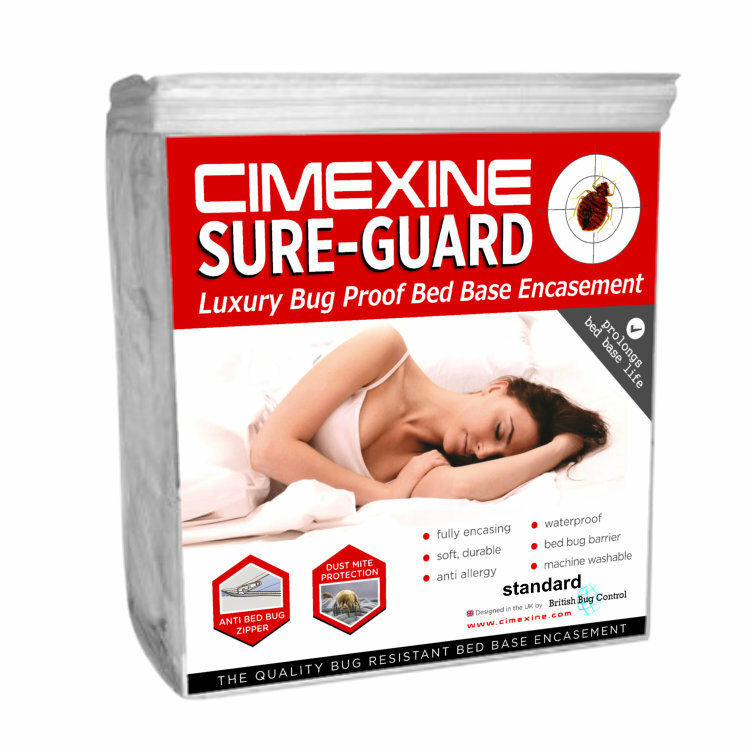 The Sure-Guard Super King bed base encasement / box spring protector fully encases the base of your bed, removing a key harbourage point for bed bugs – the joints inside the base. 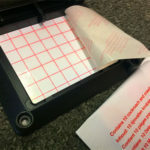 Made from high end, breathable fabric, the base’s coasters (if present) push into the material, which stretches. 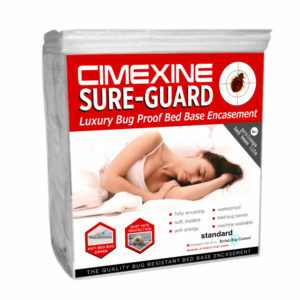 When used with the Sure-Guard mattress encasements and Cimexine Bed Bug Monitor, it will cut down on bites immediately and provides an unbeatable protection and an excellent early warning system for bed bugs, allowing you to spot outbreaks early and prevent them turning into infestations, and to monitor activity after treatment. All of which makes the problem of having to throw out entire beds in the event of a bed bug outbreak a thing of the past.